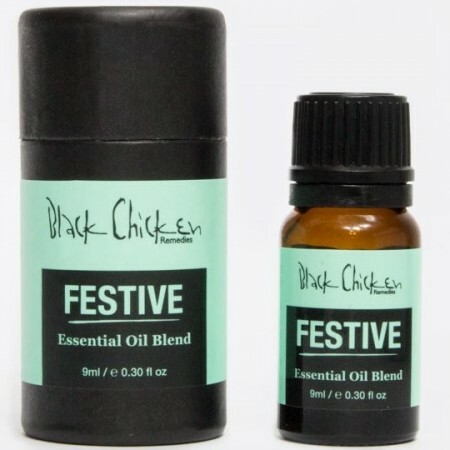 This festive Essential Oil Blend helps spread Christmas cheer. Boosts a positive mindset and creates a lovely festive atmosphere. Black Chicken Remedies aromatherapy oil aims to help the wellbeing and health of your body and mind. 9ml. Cinnamon - a signature Christmas scent. Blood Orange - uplifting and romantic aroma. Clove Bud - lifts mood and promotes clarity. Juniper Berry - alleviates fatigue. Cedarwood - calms and relaxes.